The Walking Dead is about to get a spinoff show called Fear the Walking Dead. The new show will be set in Los Angeles and feature different characters. It will take viewers back to when the outbreak first began, which was skipped over in the The Walking Dead since Rick was in a coma. Is the new spinoff something you'd be interested in watching? 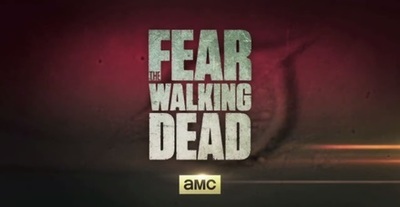 "Fear The Walking Dead title card" by Source (WP:NFCC#4). Licensed under Fair use via Wikipedia. I will be all over this series. I love the Walking Dead world and neither the comic nor the original show explored the beginning of the outbreak. I think it's going to be really interesting. I'll be pretty interested to watch it too. No thanks. Not my kind of thing.